Here's a quick recap as to what recently happened. (1) 7.2 earthquake: Bohol (Visayas), Philippines; and (2) Super typhoon Haiyan: Visayas, Philippines. Both left catastrophic destruction with epic proportions, it was not just the earthquake but also Haiyan's aftermath has left millions of Filipinos homeless and struggling to rebuild their lives once again. But with little food, water and medical supplies the survivors are starting to lose hope when aids from around the world are not reaching to its rightful recipients. There's a lot of volunteers, families who have responded in quick relief and assistance. Heroic journalists who risked life and limb to deliver the truth and document news at ground zero which has resulted in the outpouring of international donations from countries around the world. But let me share to you a story that's not part of the normal media limelight. These are the stories of linemen. Linemen are heroes too. 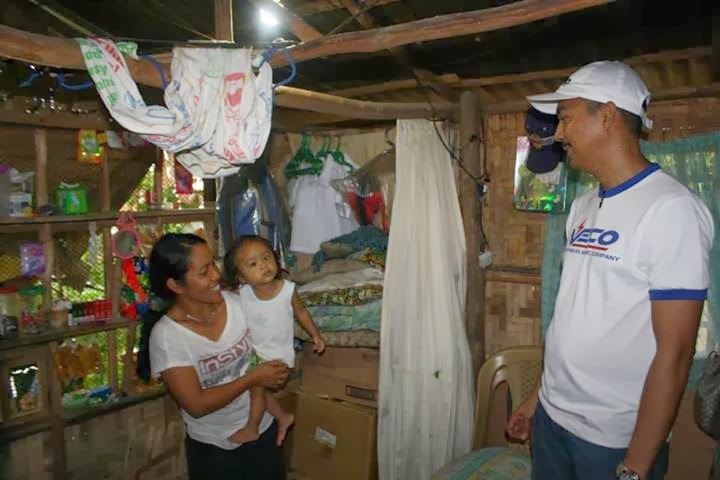 I had a chance to accompany VECO (Visayas Electric Company) in their Naga City Rural Electrification Project last 26th of October when residents of Sitios Buntod and Lower Kaiktay II in Barangay Jaguimit finally earned their permanent source of electricity and for some 1st time Electricity (yes, first time!). A lot of first time registrants in this mountain barangay in Naga, Cebu. 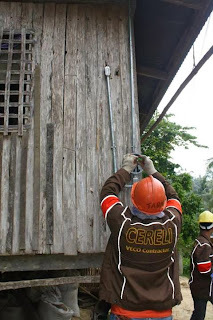 This project complies with Energy Regulation 1-94 that requires power generation companies to provide financial benefits to host communities by setting aside P0.01 per kilowatt-hour of total electricity sales to fund electrification, development and livelihood, reforestation, watershed management, and health and environmental projects. The electrification projects are to be regularly initiated by the distribution utility or cooperative. The host communities entitled to avail of the program are barangays, municipalities, cities, provinces and regions through the Regional Development Council. 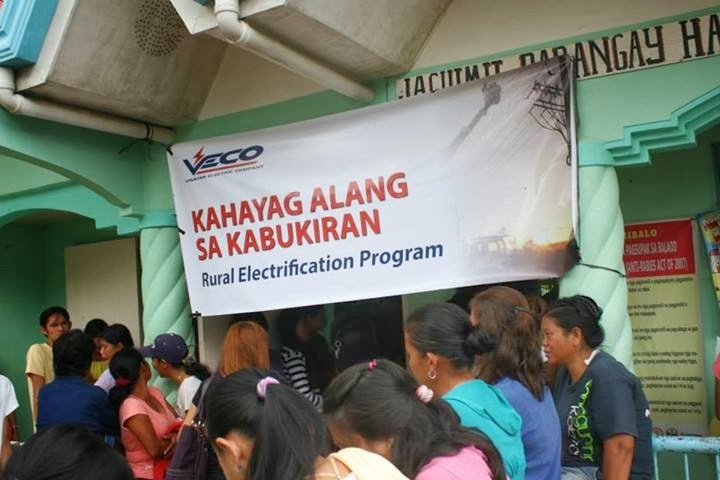 VECO, as the franchised distribution utility owned and managed by the publicly - listed Aboitiz Power Corporation and Vivant Corporation, will initiate the implementation of the project. The DOE directed VECO to proceed with the electrification expansion for twenty two (22) sitios in the City of Naga. The project is a result of the funds generated from AboitizPower generation companies and VECO’s electrification efforts. When the earthquake struck, the province of Bohol was in ruins, power lines were heavily damaged along the roads. Some stories shared by media friends tugged my heart with the despair that the people faced during that strong earthquake, add to that a thousand aftershocks. VECO sent a team to Tubigon, Bohol to restore power in the areas devastated by the 7.2-magnitude earthquake that hit the province and restore electricity as soon as possible. Recently, Typhoon Yolanda (International name: Haiyan), wreaked havoc in the Visayas. And like any other strong typhoon that passes through, electricity was was down. For my part, it was down for roughly 3 days; when I was little, I could still recall a more than a week power outage caused by Typhoon Ruping. All the more now for the people in Tacloban who still do not have power. And linemen, from whatever company they are from are always at the front lines in these disasters. In times of disasters, the worst case is that the site is inaccessible. You can’t get your gear out of the truck. You have to drag the poles/transformers or the like equipment by hand. It’s back to the old days where you are dragging equipment as best as you can —+ protective gear, the heat, dehydration, electricity, the elements, and other hazards. One of the curious things I could never forget back when I was in college was my class in Economics, who my Teacher/Professor back then Engineer Lyndon Jayme (who still happens to work for VECO), talked about the Law of Supply and Demand with the example of Electricity as a basic commodity. -We can't get news from television, radio, social media - smartphones since we can't charge our devices or plug it in. 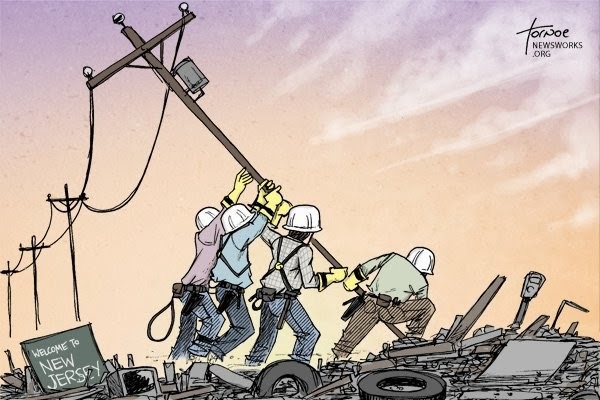 So the next time you get an urge to complain about not having electricity, think of the people who have it worse (like those in the hard hit areas and isolated locations like the smaller islands in the Visayas region), and think of the men and women who work their butts off to restore power to our homes. Linemen risk their lives just to be able to fix the lines and bring power to your homes.